Cannabis is a subdivision of flowering plant in the family Cannabaceae. It is an annual, dioecious and flowering herb. It has long been used as hemp fibre, for medical purposes and as a recreational drug. Cannabis plants produce a group of chemicals called cannabinoids, which produce mental and physical effects when consumed. According to the Life Coach Code, The Pineal Gland or the ‘Seat of the Soul’ as described by Rene Descartes, is the focal point of our spiritual guiding system which makes us go beyond the five senses of rationality and become multisensory, tuned into and aware of higher dimensions of consciousness within a holographic cosmos. 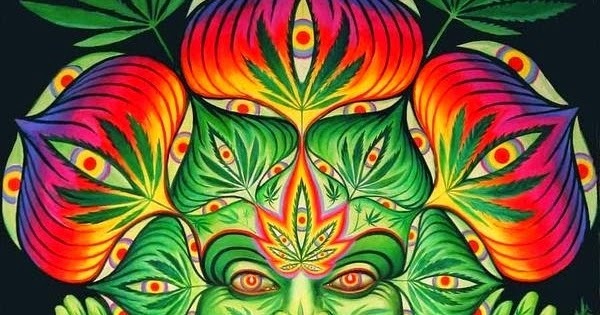 Cannabis or Marijuana among other psychedelics facilitates the activation of the pineal gland and helps turn on the third eye or the mind’s eye directing our spiritual evolution to wholeness. HOW DOES THE PINEAL GLAND ACTUALLY AFFECT THE PROCESS OF GETTING “HIGH”? Endocannabinoid system is a fundamentally important messaging system that helps to link together various parts of the brain, many of which work together to give us the subjective experience of being “high”. The pineal gland itself is crucial to this process and has undeniable importance as a source of consciousness-altering compounds.